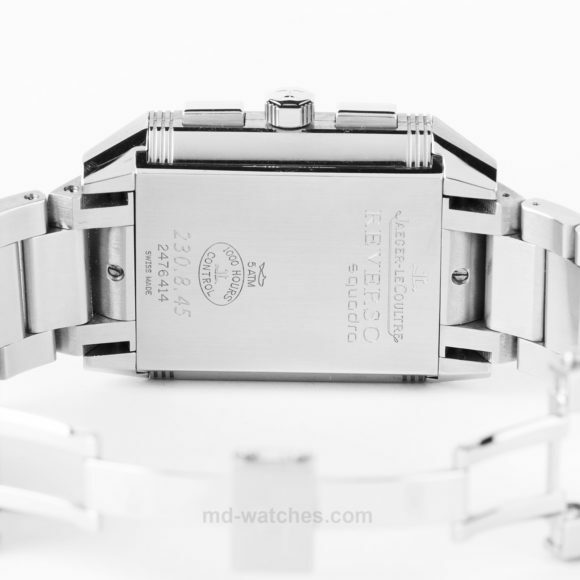 This beautiful Jaeger LeCoultre features a reversible case that allows the wearer to choose between an analog chronograph display watch and a skeleton display that views the movement. 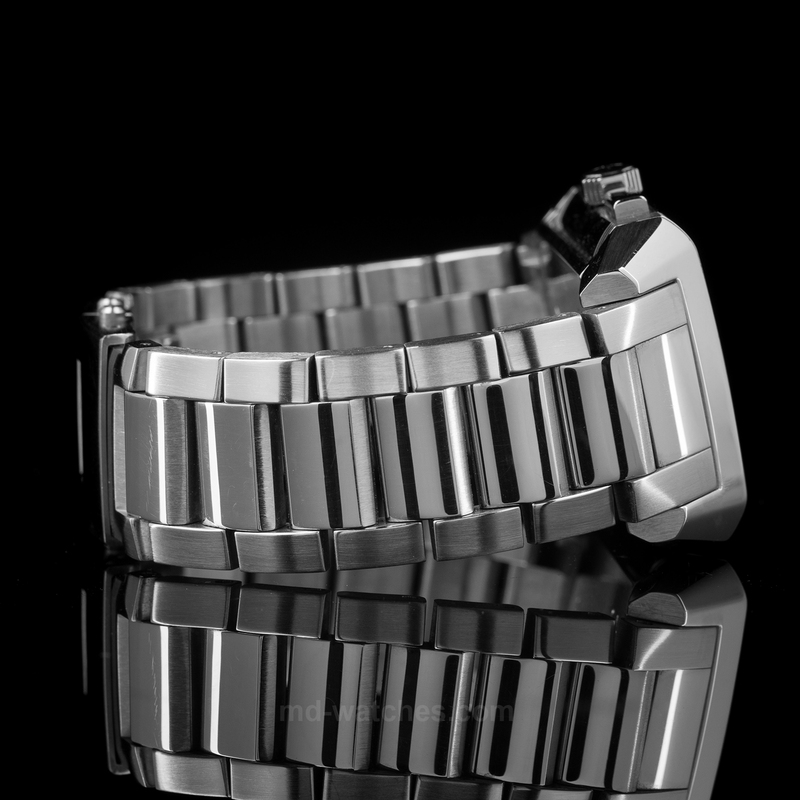 It can easily transition from one to another thanks to a sliding system. The side with the analog chronograph features a white dial with a tapestry center. 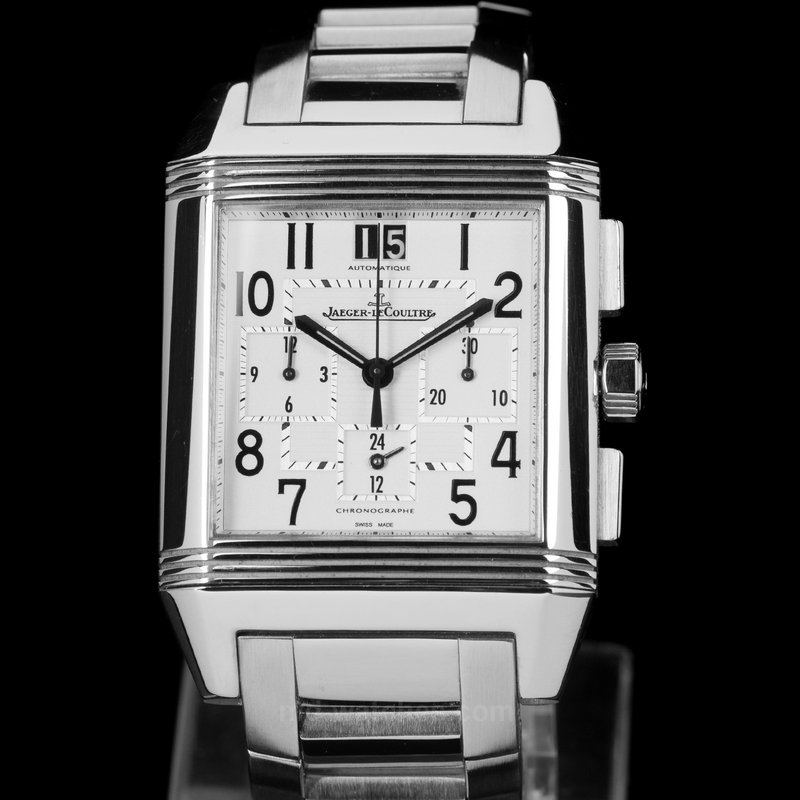 Black numeric markers along with smaller black lined minute/second markers are featured with gray hour, minute and second hands. 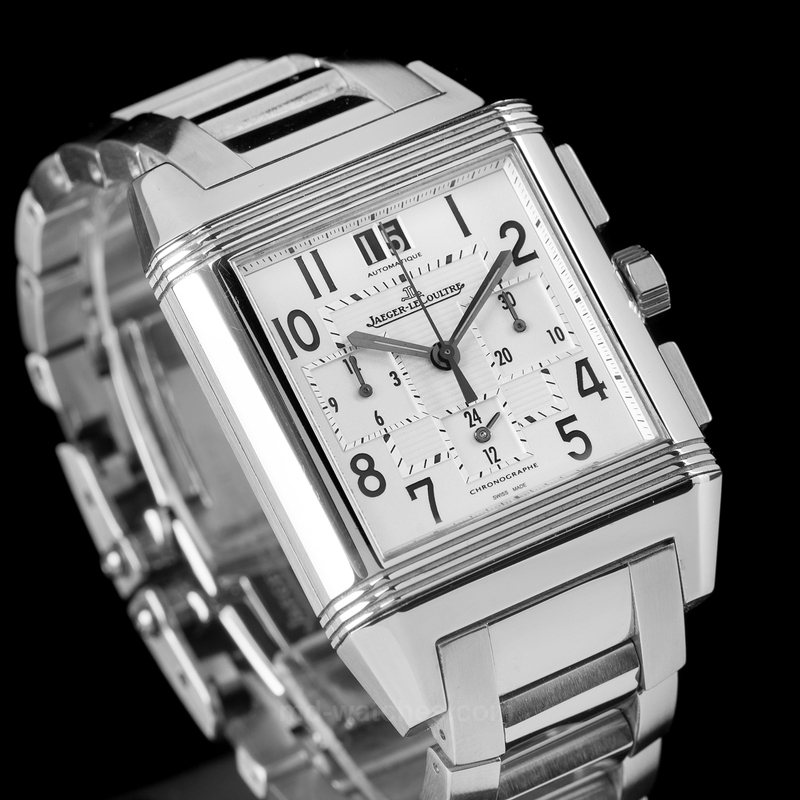 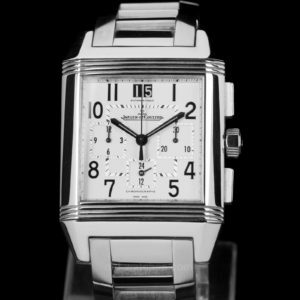 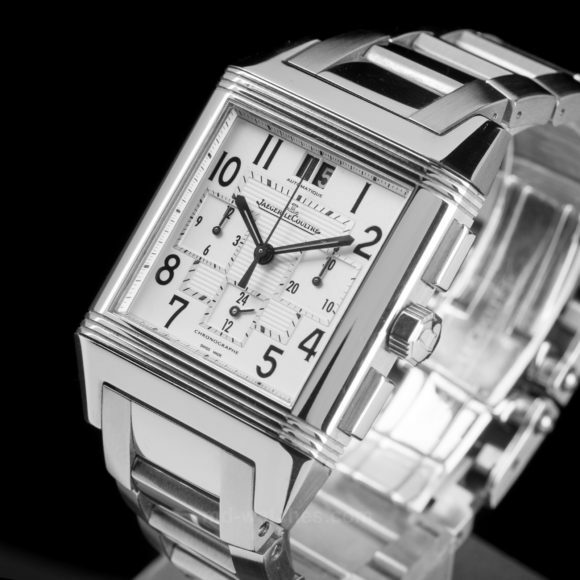 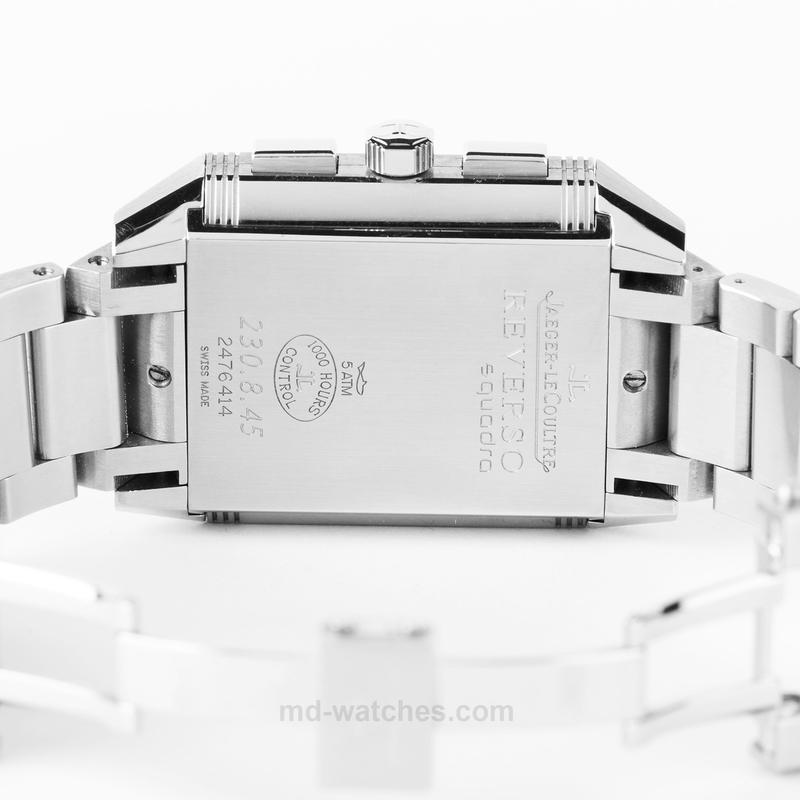 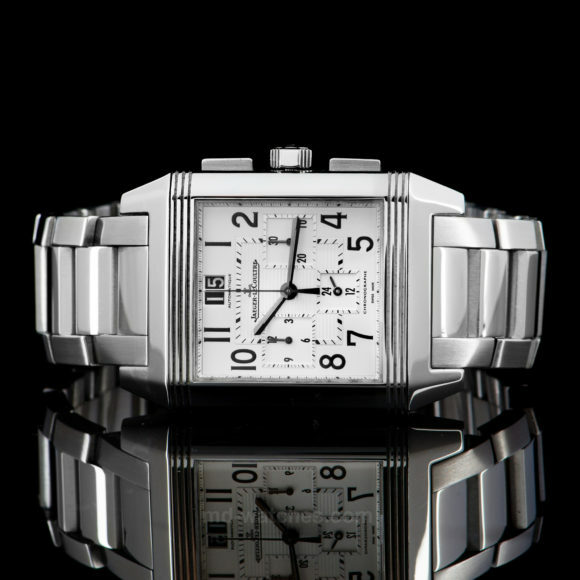 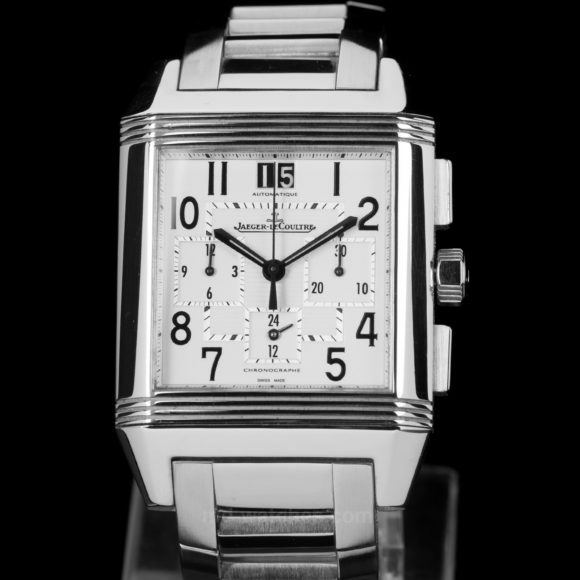 The recent comparable model JJaeger-LeCoultre Reverso Squadra GMT Chronograph Ref. 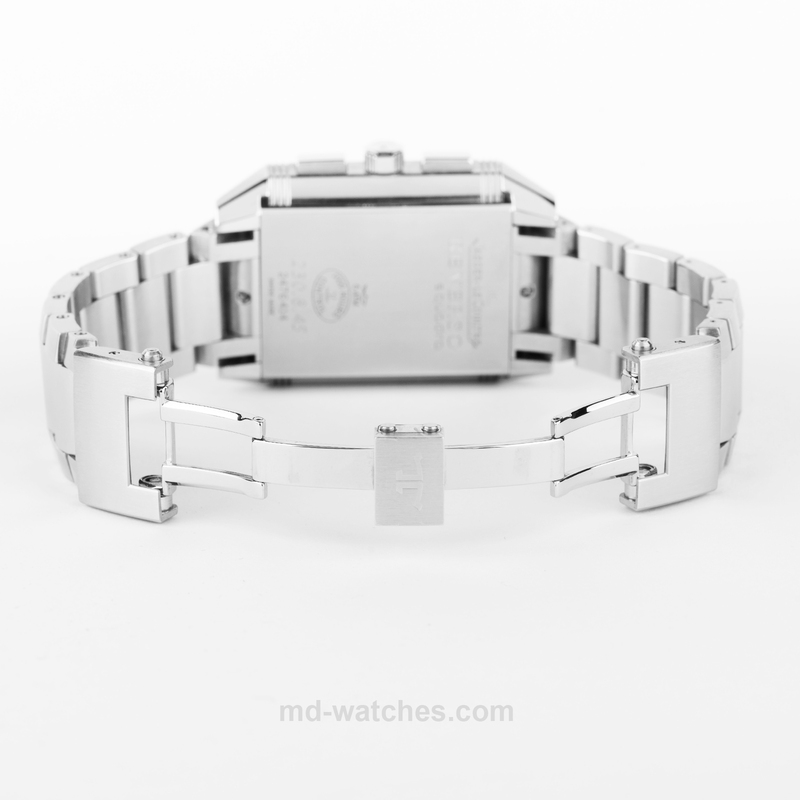 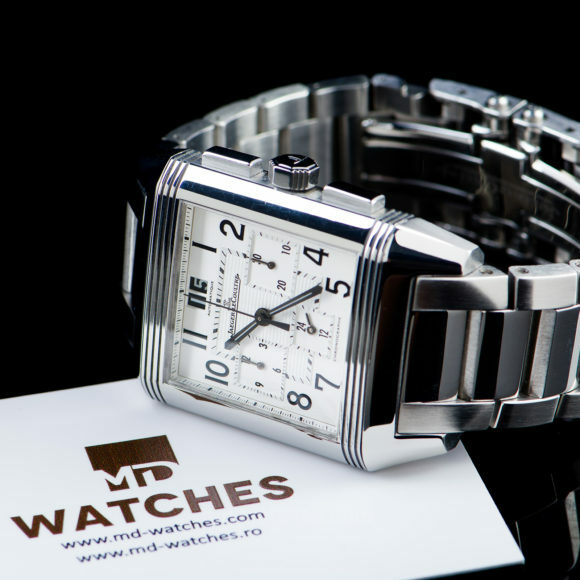 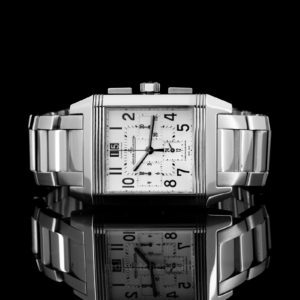 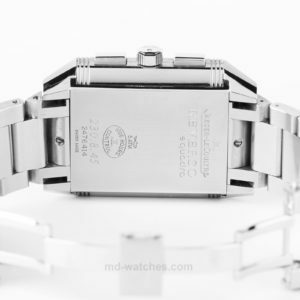 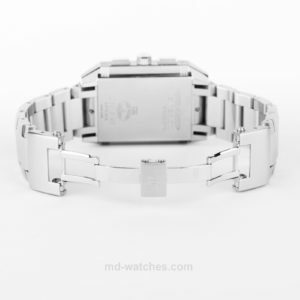 230.8.45 with automatic movement and JLC stainless steel has a retail price of 11.900.- Euros. Please take into consideration the compact design this elegant watch offers.